Win more loyalty with a seamless buying experience. A Point-of-Sales solution that is much more than moving goods across the counter. 52RETAIL connects all sales channels across all stores and ensures that customers meet the same prices no matter where they choose to shop. 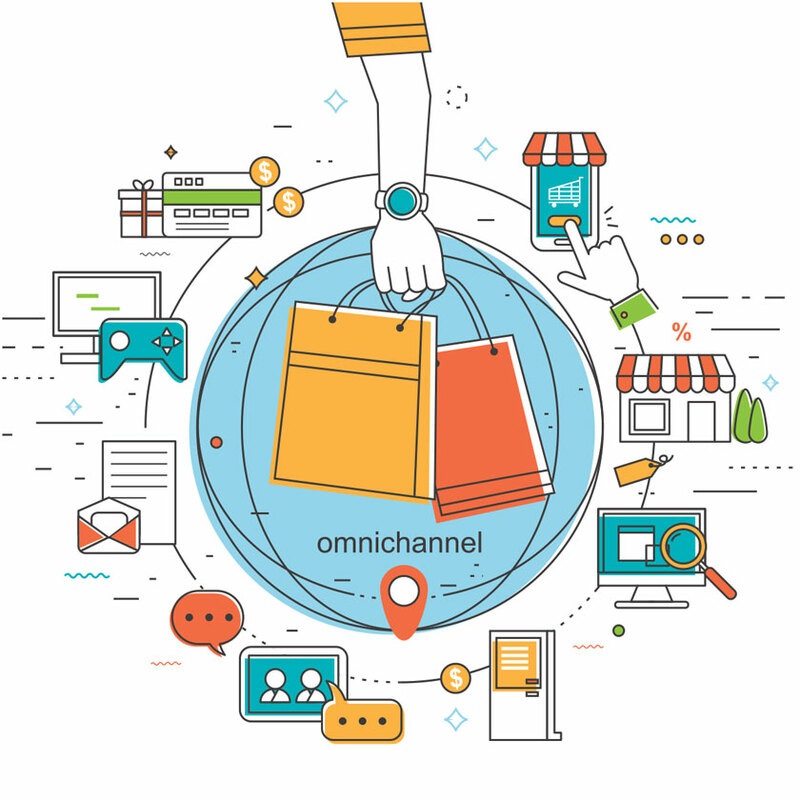 Omnichannel sales are about creating great experiences and with an omni POS solution you’ll have the technological backbone to realize your ideas and answer to customer demands and needs. How 52RETAIL optimizes your business. 52RETAIL helps you keep control of prices, discounts and campaigns across all your stores and sales channels to ensure customers get the same prices no matter where they shop. Make interaction between sales channels transparent and appear as a unified brand. 52RETAIL ensures that your customers will meet the same information anywhere, anytime. Choose your favorite business applications and hardware. 52RETAIL connects with your other systems and lets you maintain data centrally. 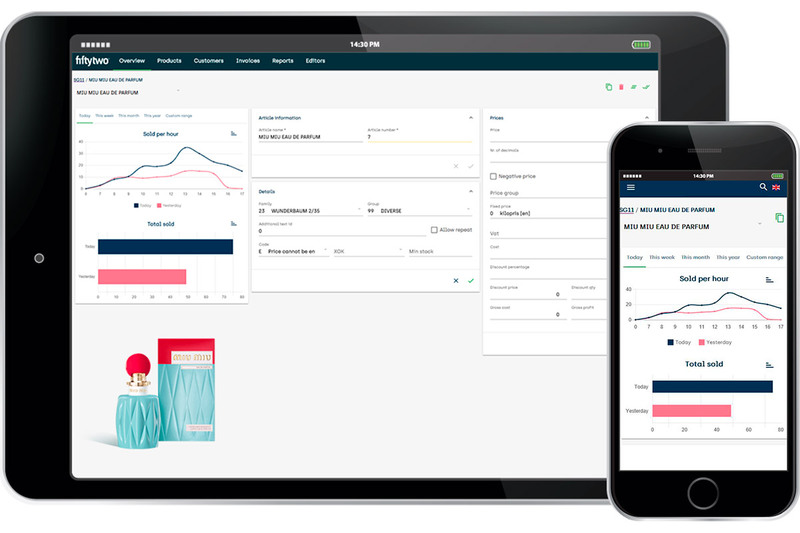 52RETAIL offers applications and functionality that gets your customers through checkout faster and in return gives great customer experiences. Attract new and existing customers and urge them to keep returning to your stores with different initiatives that win loyalty. All integrated to the 52RETAIL solution. Get started with a solution that fits your current situation and adds more functionality as your business grows. 52RETAIL is scalable both in functionality and capacity. Employees have become more efficient, which resulted in our average sale rose markedly since we rolled out 52RETAIL. - Sima Jepsen, District Manager, Carl's Jr.
A connected retail software solution. Successful retailers offer their products throughout multiple channels in a seamless customer experience where all channels melt together. But how do you control prices, discounts, gift cards, vouchers and customer loyalty club across all these channels and always offer the same experience and price no matter where your customer goes? You need the right technological foundation. 52RETAIL offers a solution that connects all your channels. A great buying experience depends on your POS software and how well it makes shopping easy, fast and convenient for the customers and help your staff help your customers in the best way possible. There are many options to meet your customers in the store and improve their experience depending on their needs. 52RETAIL offers standard POS, Mobile POS and selfscan solutions to meet these different needs for personal customer service, fast checkout and convenient shopping. Don’t limit yourself with end-to-end solutions, instead pick the hardware and microservices you prefer and love and build your technological foundation on solutions that best fit your needs. However, they all need to integrate to provide you the benefits you want. 52RETAIL is the core of the technological foundation and connects all the dots to provide the best solution specifically for you. An easy and efficient customer experience. Toys'r'us and BR implement new self-checkout stands in cooperation with Fiftytwo and Diebold Nixdorf. Carl's Jr In Denmark implemented a new point-of-sale (POS) solution, which is easy and flexible to integrate with their other systems. We have made a check list going through five areas you can’t compromise if you want to ensure efficient operation and great customer experiences across all sales channels.